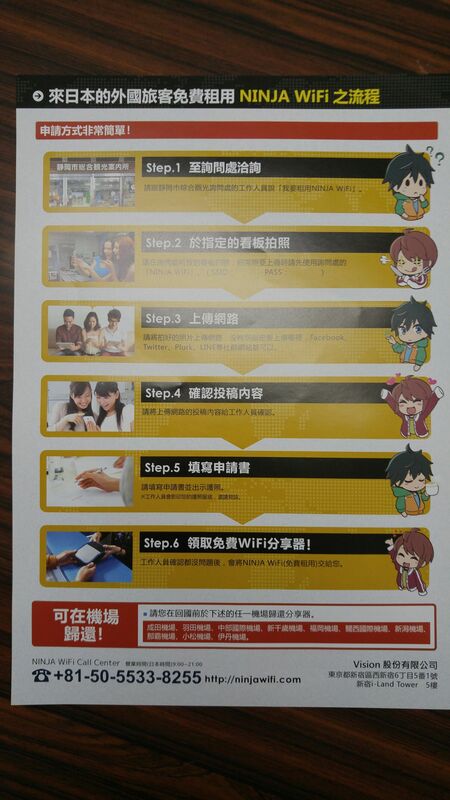 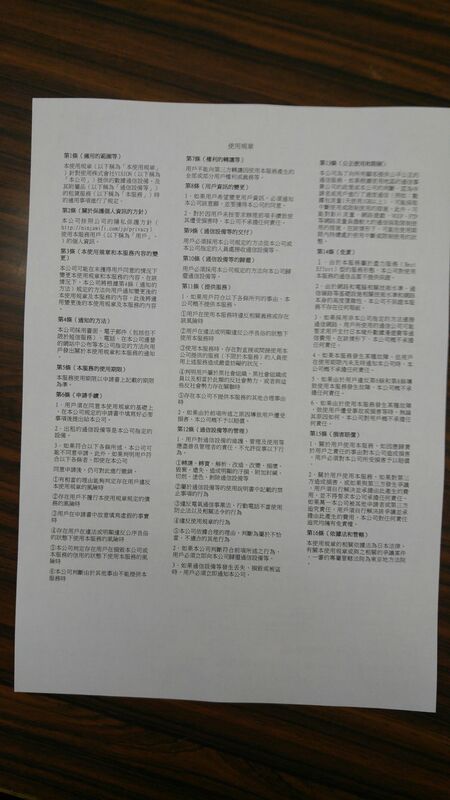 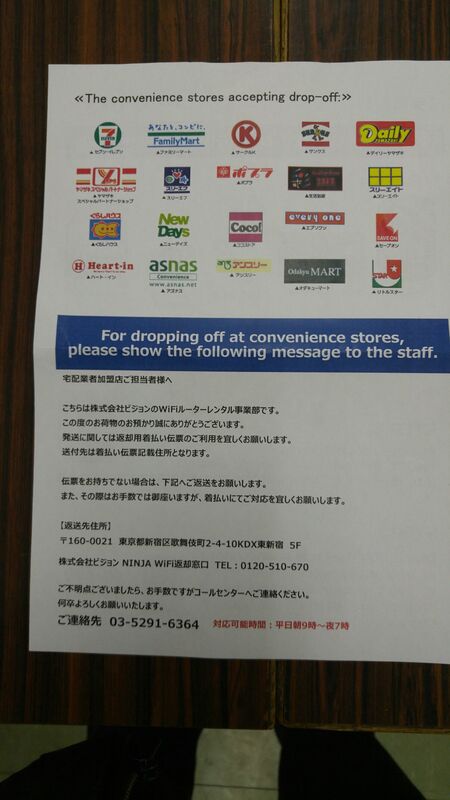 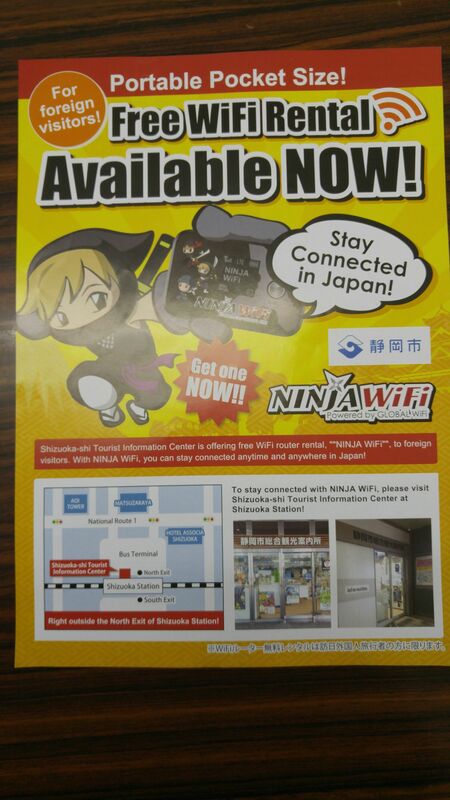 Free WiFi Rental for Foreign Tourists in Shizuoka City (English, Chinese, Taiwanese & Korean)! 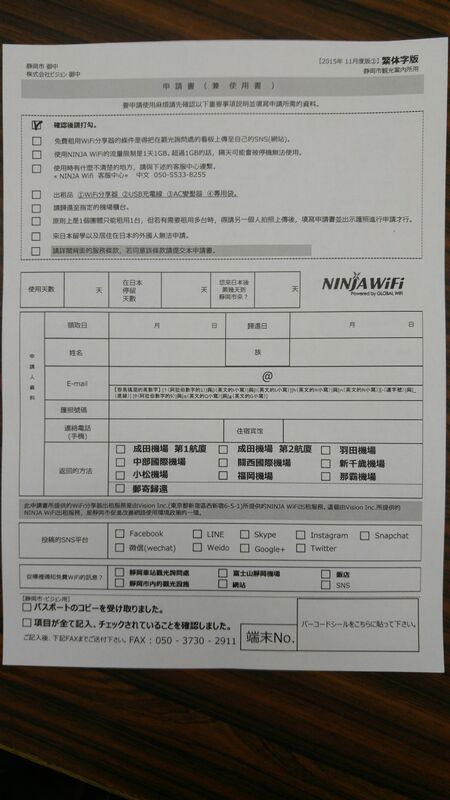 On Novemebr 1st Shizuoka City decided to sponsor free WiFi rental for the sole benefit of foreign tourists until next March on a trial basis, by which time the City will decide whether to make it permanent! 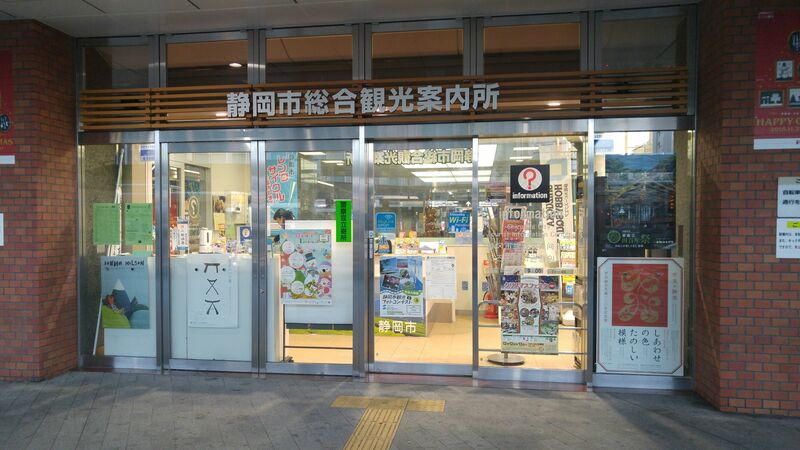 First of all, bear in mind that such service can obtained in only one place, namely the Shizuoka City Tourist Information Center/静岡市総合観光案内所 located at the north entrance of Shizuoka City JR Station! 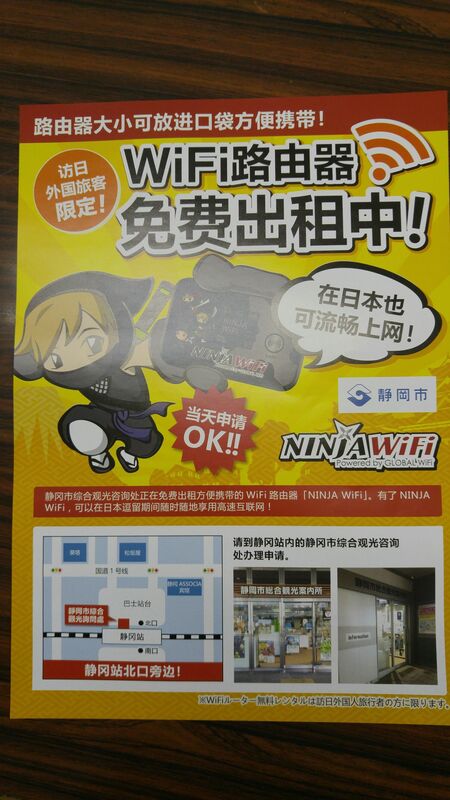 It is open any day of the week from 09:00 to 17:45! 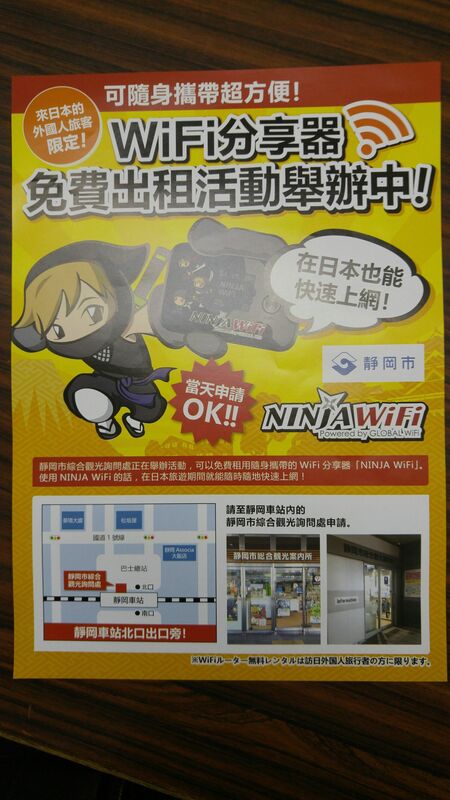 -Step 2: Take a a photo of the NINJA WiFi POP: take a photo of the NINJA WiFi POP with your smartphone and connect your smartphone to the NINJA WiFi located at the information center. 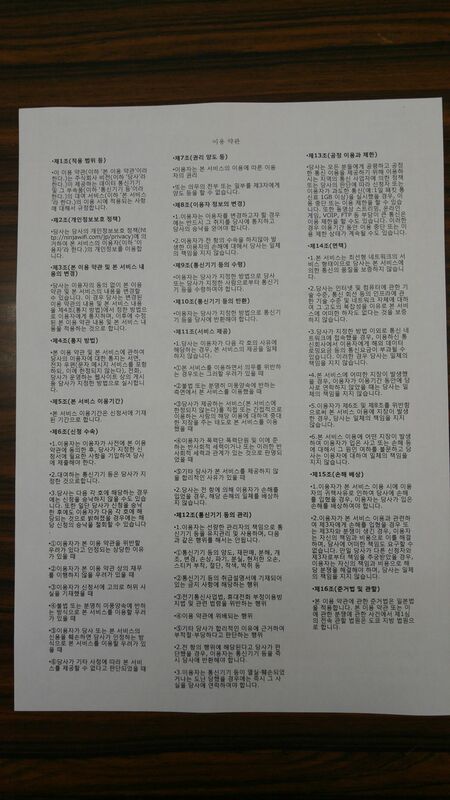 -Step 3: Post to SNS: Post the photo taken in Step 2 to an SNS, such as Facebook, Twitter, Line, YouTube or whichever you prefer. 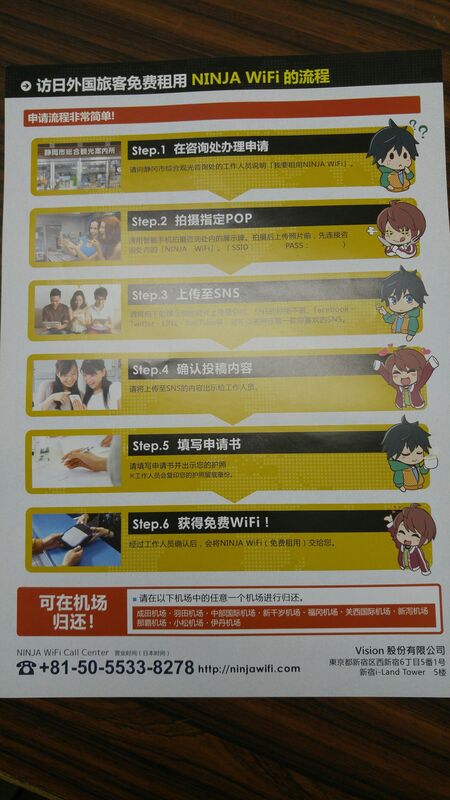 -Step 4: Show the post: show the post to the staff. 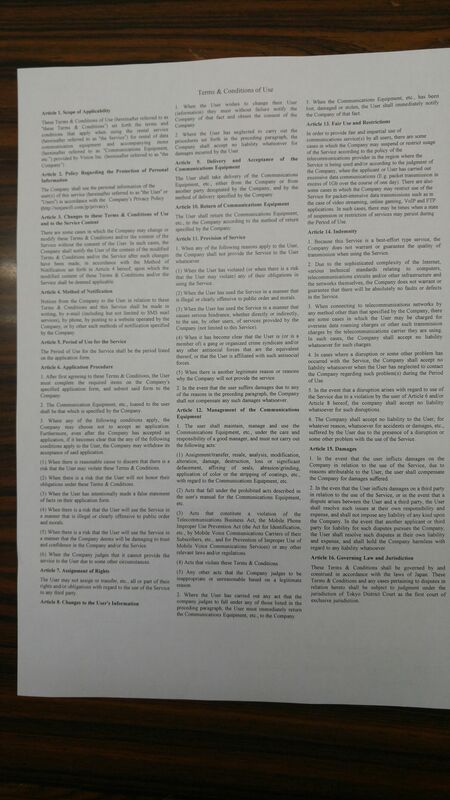 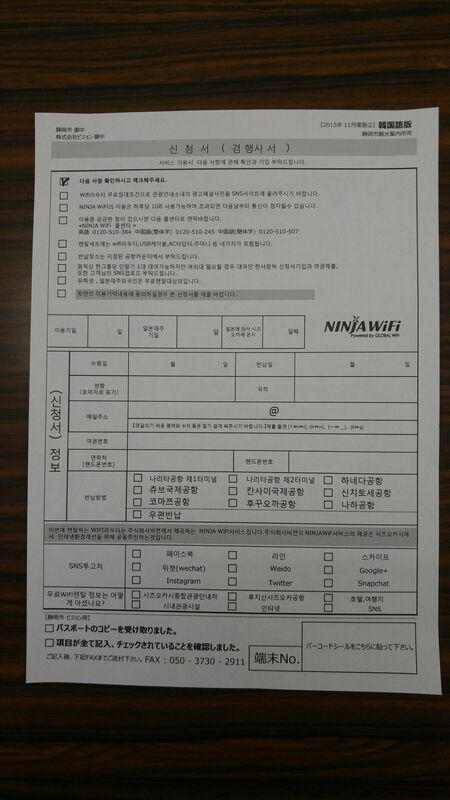 -Step 5: Fill in the registration form: fill in the registration form and show your passport. 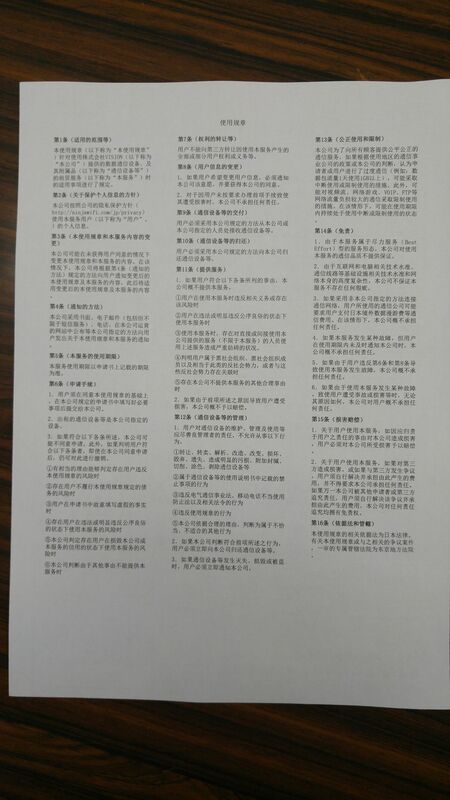 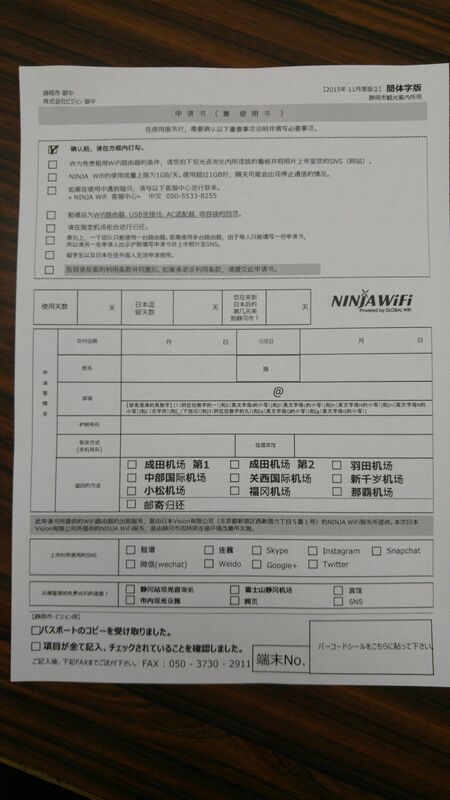 Please allow the staff to make a copy of your passport. 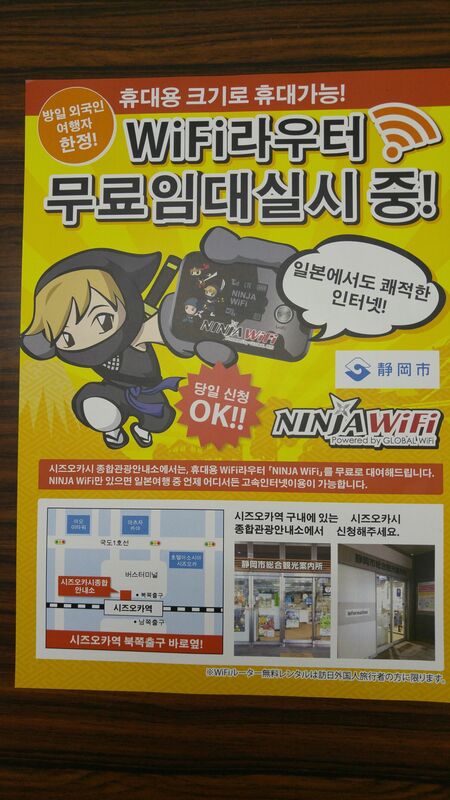 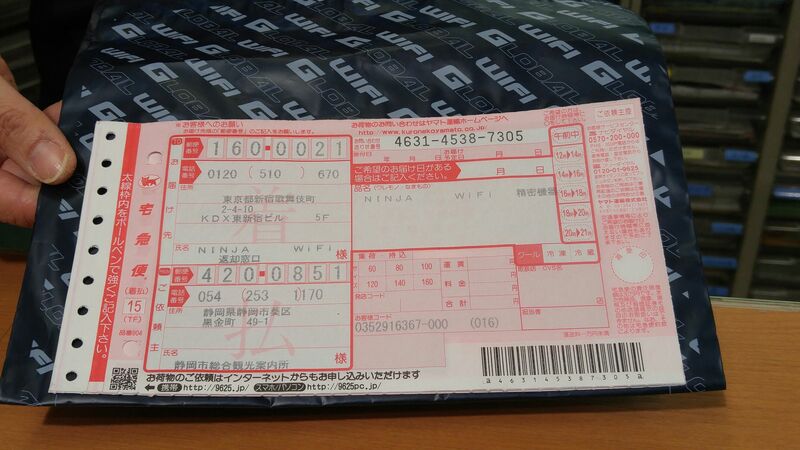 -Step 6: Get the free WiFi: once the staff has verified the information, you will get a NINJA WiFi router. 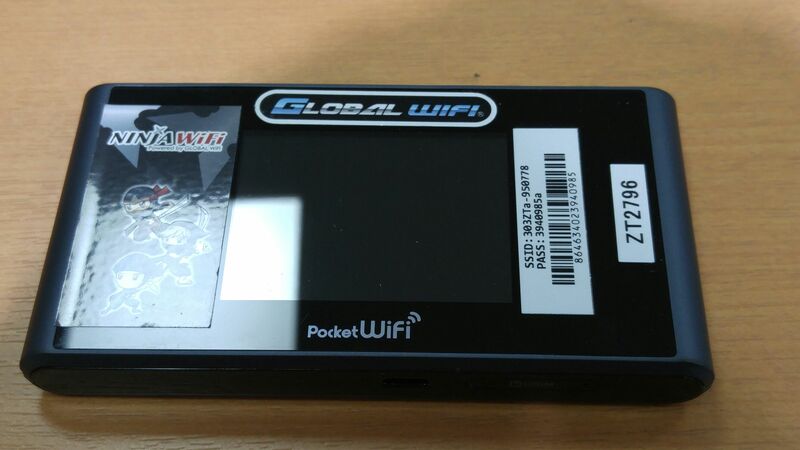 The package includes the router, peripheral devices, manuals and a Return by Delivery Form. 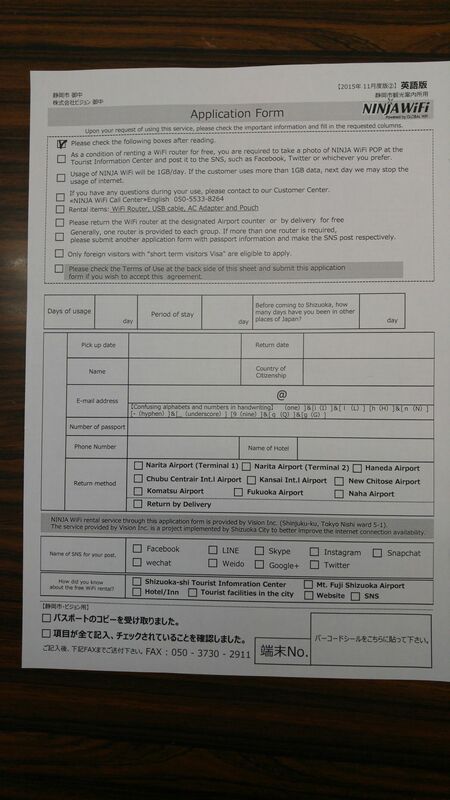 Bear in mind that only visitors with “short term visitors Visa” are eligible to apply. 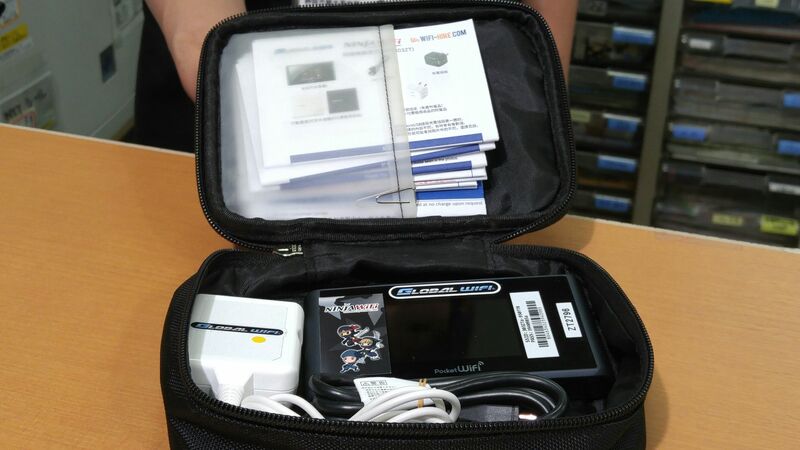 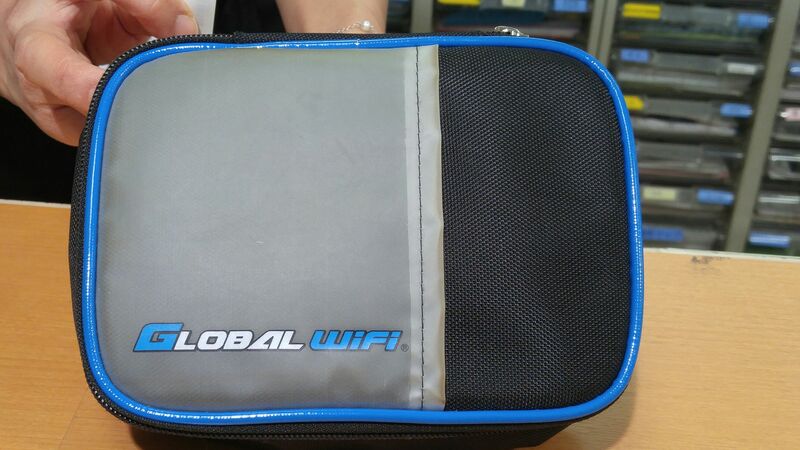 When returning the WiFi router by free delivery you have to return 1) the pouch, 2) WiFi router (303ZT), 3) the USB cable, 4)The Charging Adapter.